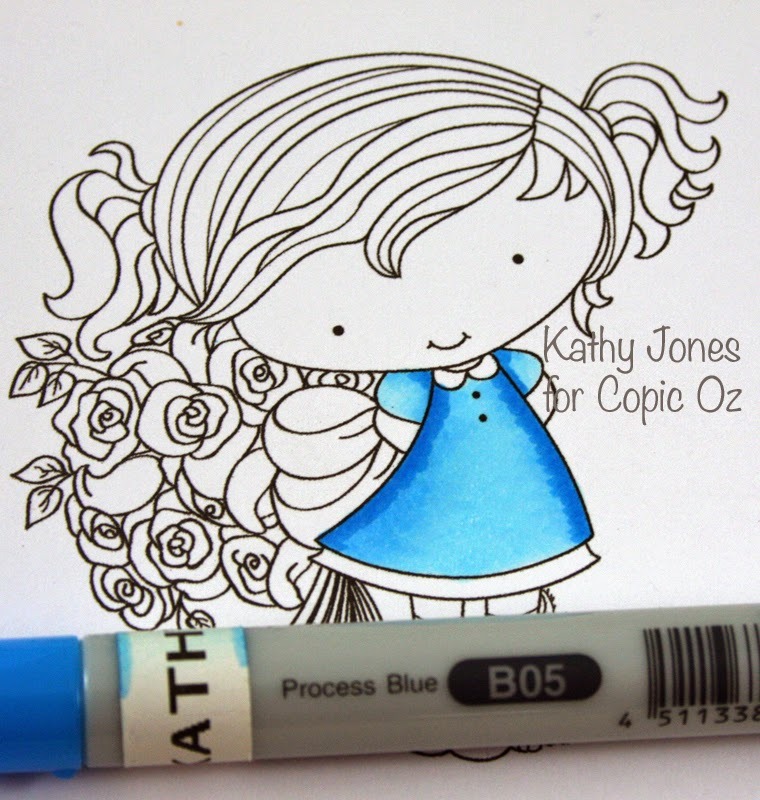 Hello Everyone and welcome back to another Copic Oz Tutorial! Today we are going Back to Basics! 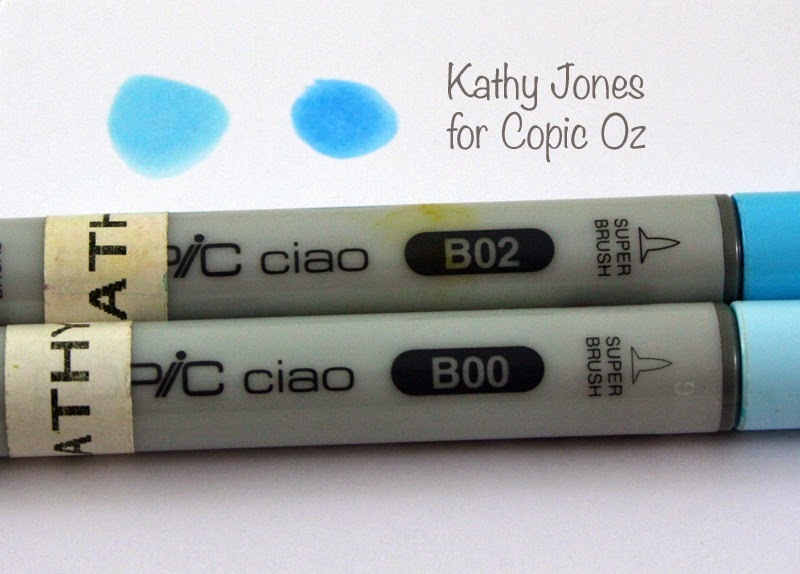 For many of us, it seems such a long time ago that we ventured into the Copic Universe, but we have to remember that many have only just started on their journey, so for those beginners - this one is for you!! 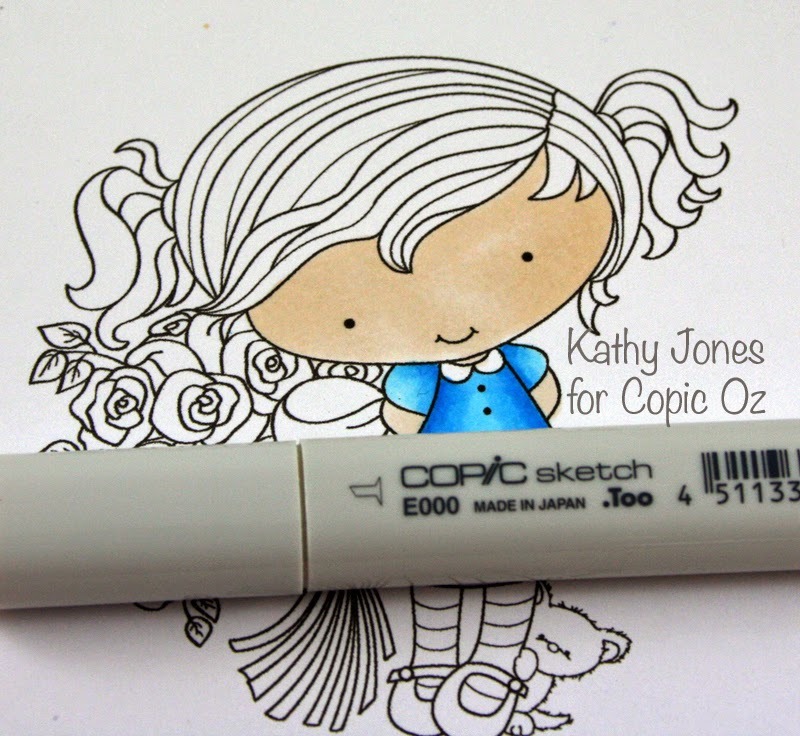 Let's start at the beginning - did you know there are now 358 Copic Colours!!! I know - awesome right!! 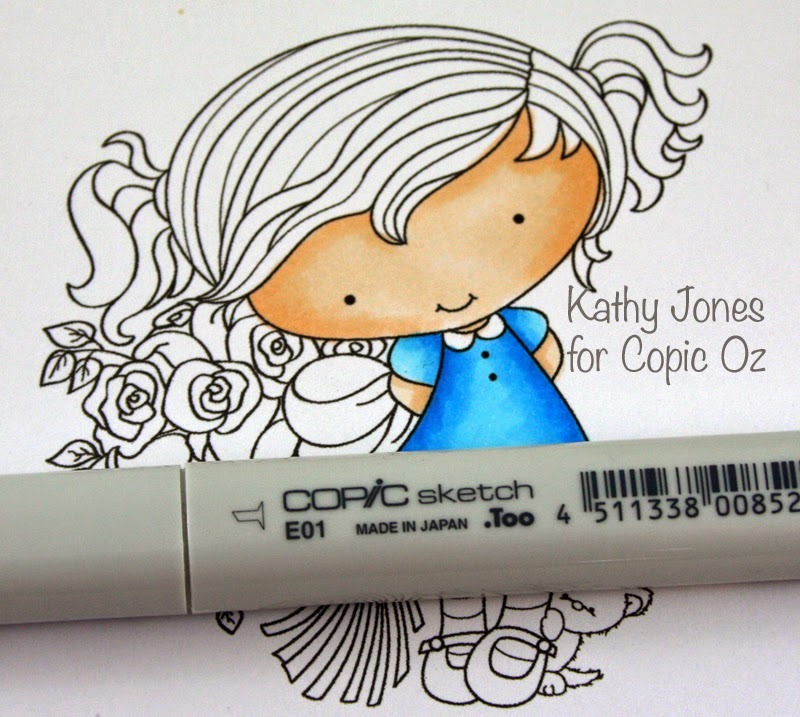 :) There are FOUR styles of Copic Markers - Original (square body), Sketch (oval body), Ciao (round body) and Wide (short, wide body). 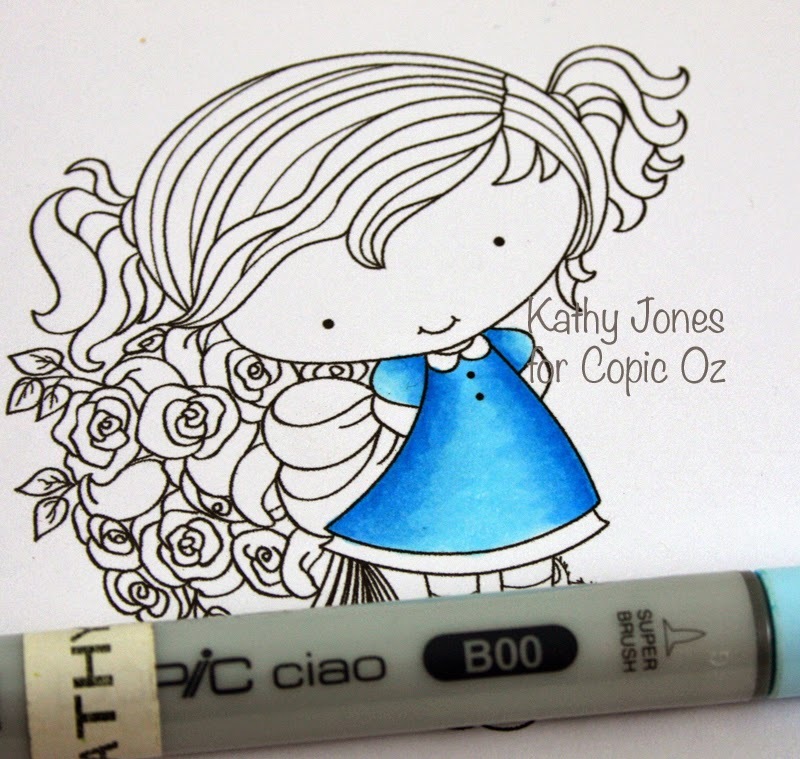 Most of the Papercraft Tutorials that you'll find online or in stores will use the Sketch and Ciao markers - both of these use the Super Brush Nibs which are perfect for blending! 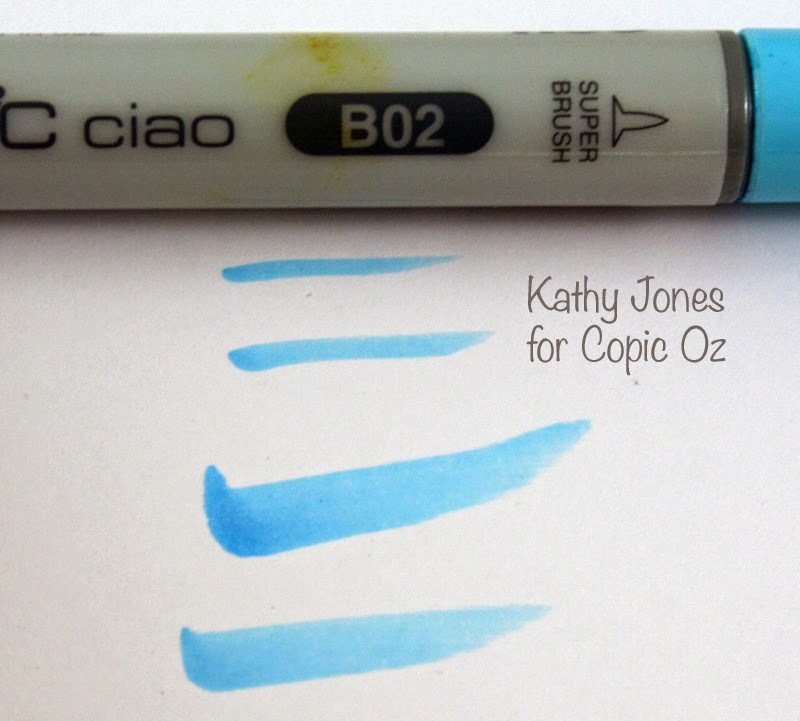 The main difference between these two marker types is that the Sketch comes in ALL 358 Colours, you can airbrush with it, it's a little more expensive because it holds 40% more ink than the Ciao. The Ciao come in 180 Colours and isn't designed to fit the airbrush system. You CAN absolutely have both types in your collection and use both at the same time as the inks are the same. I have a collection of both! Sooooo......how do you choose colours?? 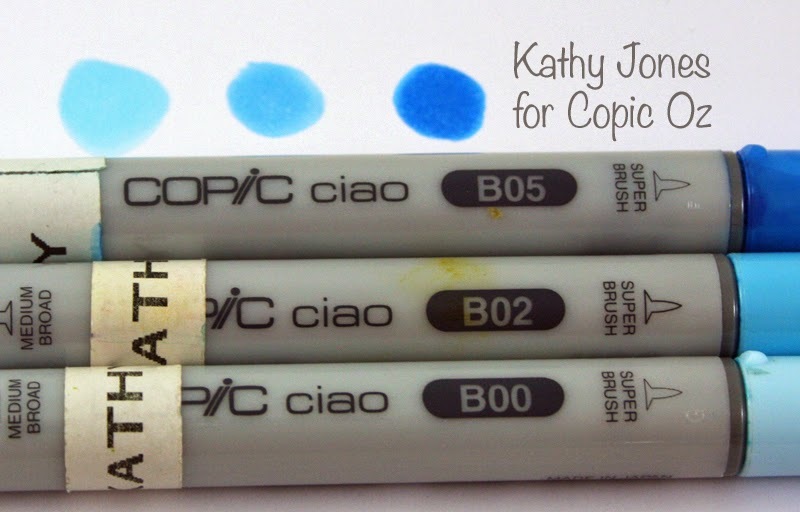 A good starting point is the Copic Colour Wheel! 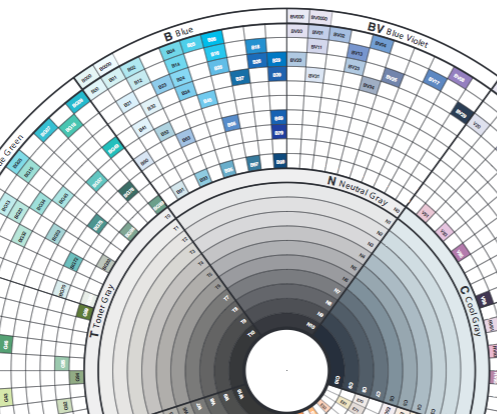 You can download your free copy of the Copic Colour Wheel from the Copic Marker Australia Library - or simply CLICK HERE! The Colour Wheel has all the colours on it, grouped in Colour Families (Blue, Blue-Violet, Violet, Red-Violet, Red, Yellow-Red, Yellow, Yellow-Green, Green, Blue-Green, Earth, Cool Grey, Neutral Grey, Toner Grey, Warm Grey.). When you look at your markers you'll see a number - for example B00. If you look at your Colour Wheel you'll see that the B stands for the Blue Colour Family. The first NUMBER (0) tells you how vibrant or saturated the colour is. The second NUMBER (0) tells you how light or dark the shade is. 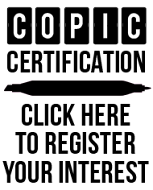 Here's an example of a Natural Blending Pair. That is, two colours with the same letter, same first number and the second number 2 - 4 digits apart. In this example I've used B00 and B02. When you look at a Colour Wheel, these colours will be on the same track that goes around the wheel. 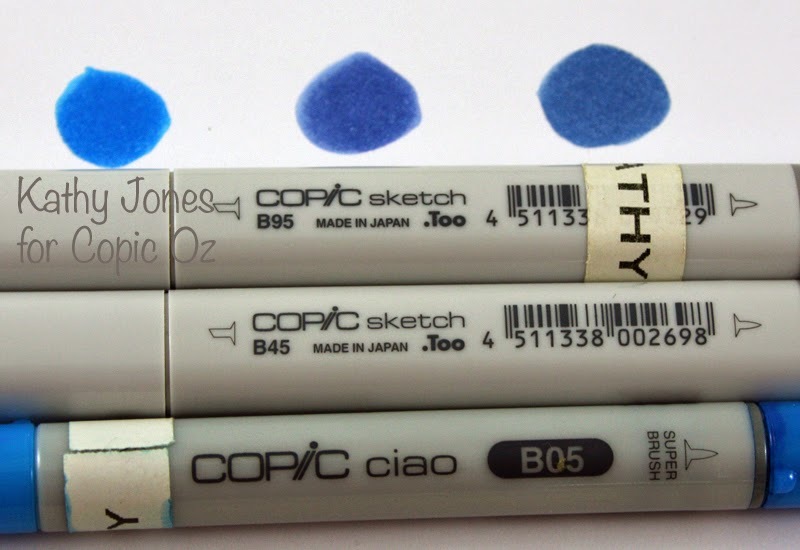 Now I'm sure you've seen that usually as people become more confident with their Copics, they use more than two colours. A natural blending partner for the above two markers is B05, because it is 2 - 4 digits apart from B02. You can see in the example that the vibrancy of the colours is the same, but the shade gets darker. This will still be on the same track of the colour wheel. So what happens if you change the first number instead of the second number? In that case, you are changing the saturation/vibrancy of the colour. Below I have B05, B45 and B95 (all ending in 5), however look how much more GREY the colour becomes as you change that first number?! These colours will be on different tracks on the colour wheel - the greyer it becomes the closer it moves to the centre of the wheel. 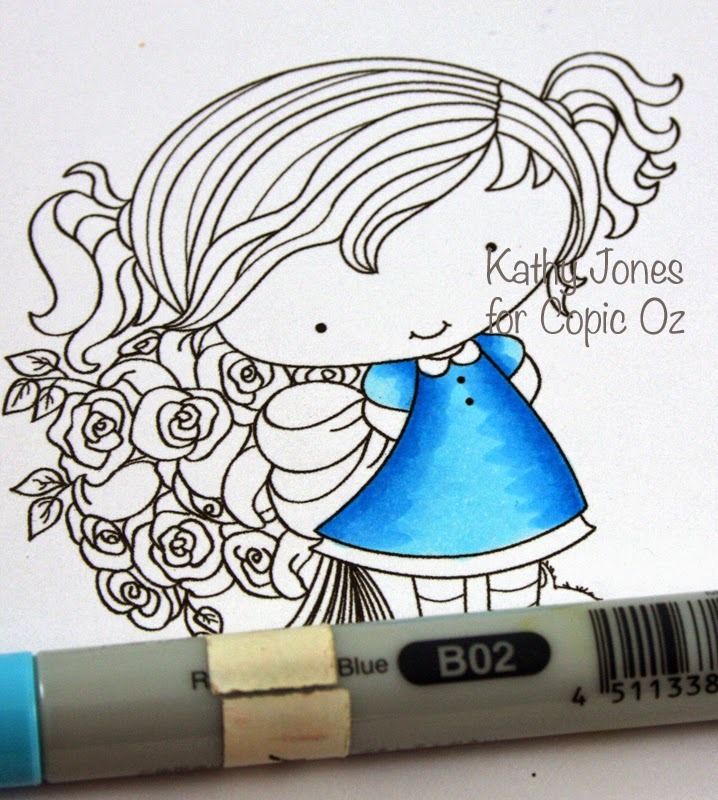 So, lets colour! 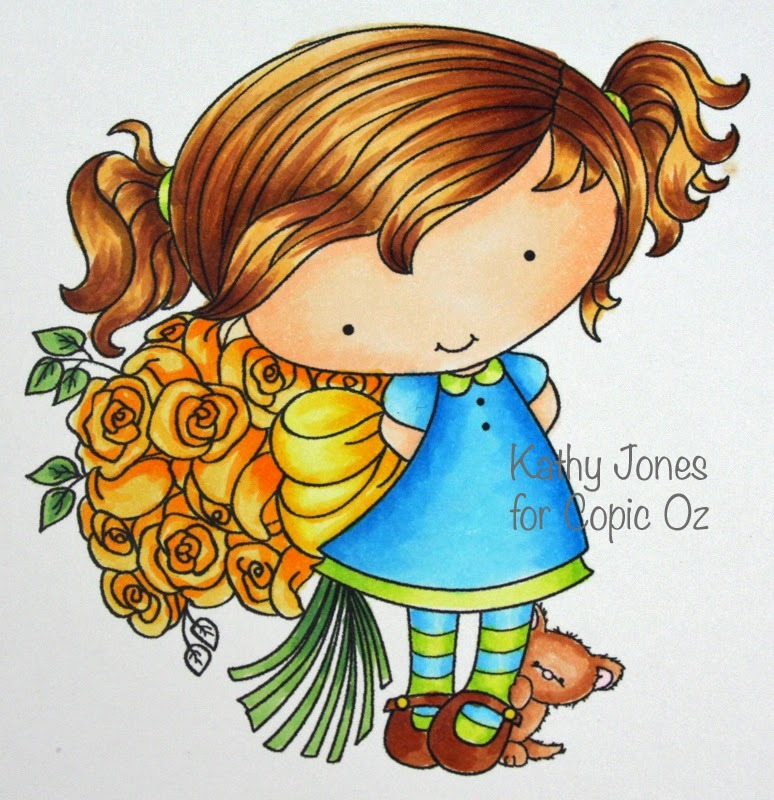 This sweet image is called Wendy's Bouquet by CandiBean and I've started colouring her dress in the example colours above, beginning with B00. 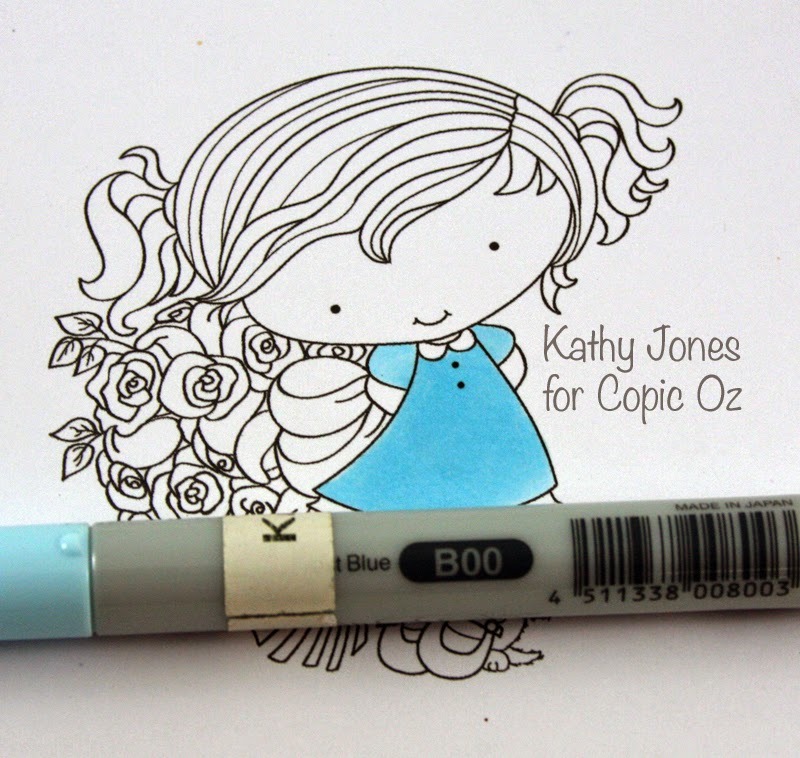 When starting to colour, I always lay down the LIGHTEST colour first - this is like priming you paper ready for blending. Next I've started shading with B02. Notice I've flicked in the darker colour from the sides? Usually people only talk about the 'flicking' style when talking about Feather Blending, but this is a really good habit to get into as those trailing edges are *SO* much easier to blend than hard, blunt edges. Your flicking should use the SIDE of your brush nib and have a trailing edge like the bottom example, not hard lines like the upper ones. After you've flicked in your darker colour of your pair, go back and LIGHTLY blend with the lighter colour where the two colours meet. In this case, it's B00. If you want to try 3 or more colours, the same basic principle applies, follow the steps above and then add the darker B05 for your shading. Then once again blend when your NEXT lightest colour - in this case B02. Then blend again with the next lightest colour - B00 in this case. You image should now have much more contrast and depth of colour! For basic blending on skin, I've used E000 as my base colour. Once again, lightest colour first to 'prime' your paper for blending. Next I've used E01 (E000 and E01 are within the 2-4 digits apart for basic blending pairs) and flicked this colour in from the sides and under the fringe. Very lightly blend these colours together along the edges where they meet with E00 (the lightest colour). If you want to really step up your skin colours once you've had a little practice with basics, have a look at the advanced skin tutorial that can be found HERE! 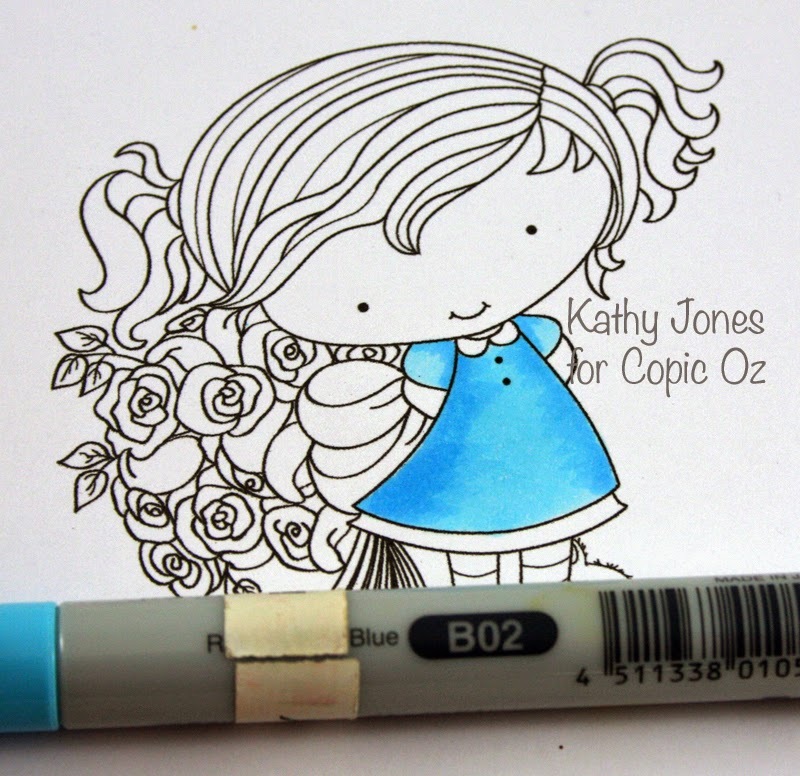 Finish colouring your image in what ever colours you like!! That's all from me today, I hope you've enjoyed today's tutorial!! 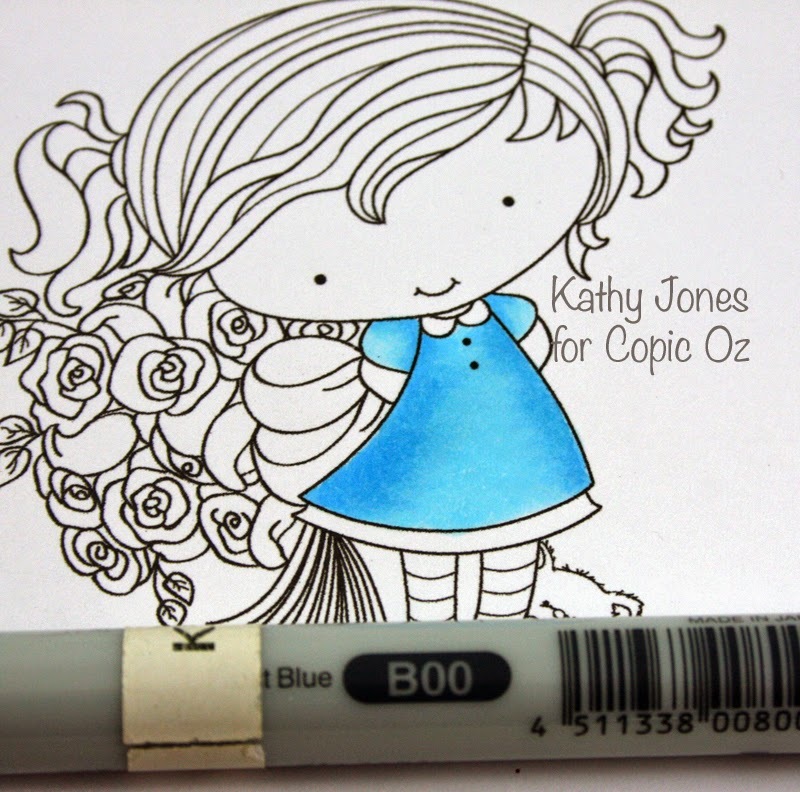 Have you heard that we are looking for designers to join the Copic Oz/Xpress It design team?? 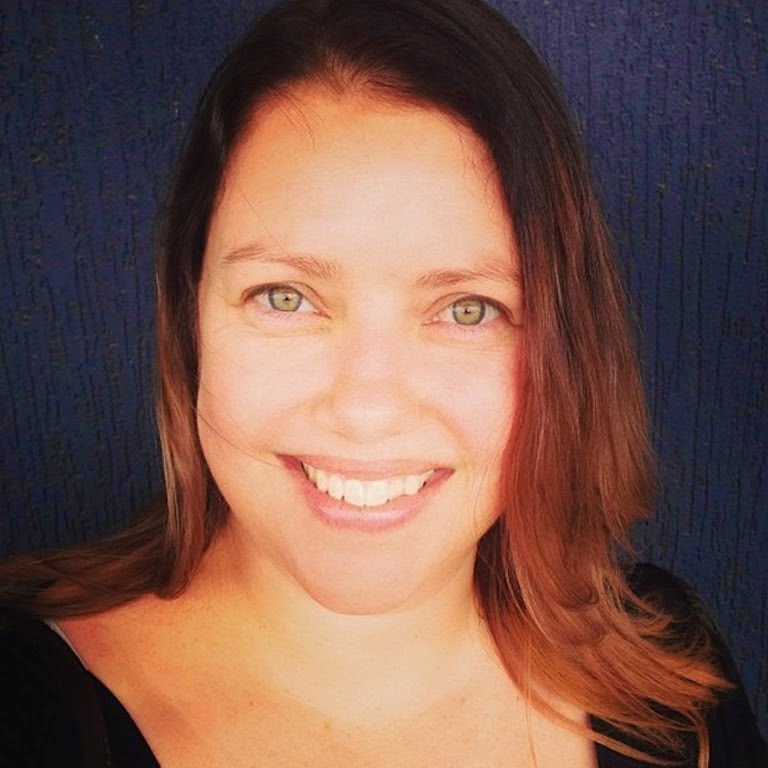 We are an Australian based team, so this is a call for Aussies only (sorry to our international fans) - want to know more?? CLICK HERE! Lovely Kathy, I need to go back to basics myself! Thank you so much Kathy! I haven't used my Copics in months. I love them, I have all 358 colors. Wish they would release more! 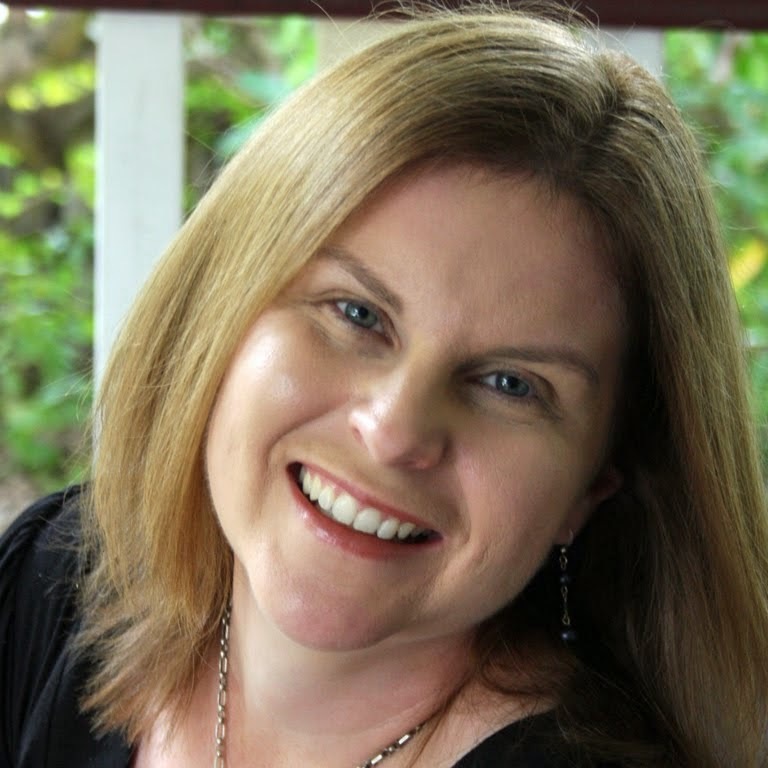 Can anybody tell me who is the best and Printer Cartridges Specialist is Australia who is dealing with all printer, refilling, toners, cartridges and empty bottles. 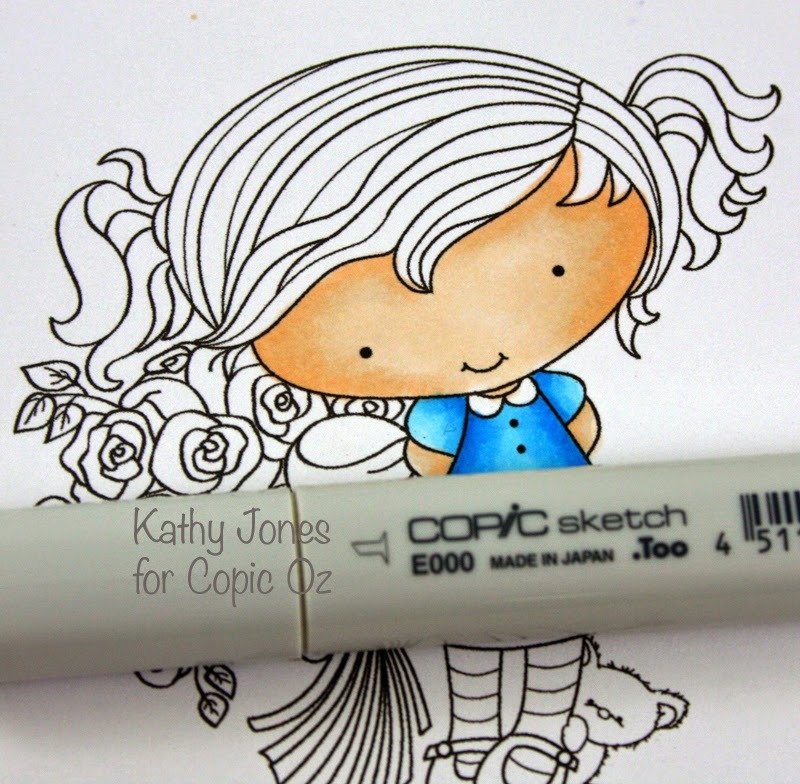 Would you like to join the Copic Oz Design Team? !